Syria's opposition threatens to withdraw from planned peace talks in Geneva after UN's Ban invites Iran. Iran was invited on Sunday to this week’s “Geneva 2” Syria peace talks, prompting Syria's political opposition to threaten to withdraw its attendance. Reuters reported that UN Secretary-General Ban Ki-moon said that he had invited Iran to attend the first day of talks on January 22 in Montreux, Switzerland and that Tehran had pledged to play a "positive and constructive role" if it was asked to participate. In response, less than 48 hours since Syria's main political opposition group in exile, the National Coalition, agreed to attend the talks, it threatened to withdraw, the report said. "The Syrian Coalition announces that they will withdraw their attendance in Geneva 2 unless Ban Ki-moon retracts Iran's invitation," it said in a Twitter post, quoting National Coalition spokesman Louay Safi. Another senior Coalition member, Anas al-Abdah, was quoted as having told Al-Jazeera TV by phone that the body was "surprised" by the invitation to Iran. "It is illogical and we cannot in any way accept it," he declared. Two weeks ago, when Ban started sending out invitations to the peace conference, Iran was not on the first list. The United States has in the past expressed its objection to Iran attending while Russia, one of the co-organizers of the Geneva 2 conference, supports participation by Tehran. Western and Gulf Arab nations have been reluctant to support the idea of Iran participating at all because of its support for Assad, as well as the fact that it has never backed a plan for a political transition in Syria agreed at an international conference in Geneva in June 2012. The United States remains "deeply concerned about Iran's contributions to the Assad regime's brutal campaign against its own people," she added. Ban said he had spoken at length with Iran's Foreign Minister Mohammad Javad Zarif in recent days and that he believed Tehran supported for the Geneva 2012 plan. 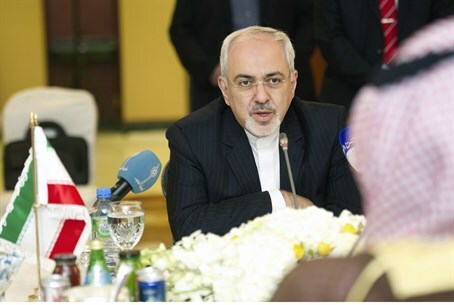 "He has assured me that like all the other countries invited to the opening day discussions in Montreux, Iran understands that the basis of the talks is the full implementation of the 30 June, 2012, Geneva communiqué," he said, according to Reuters. "Foreign Minister Zarif and I agreed that the goal of the negotiations is to establish by mutual consent a transitional governing body with a full executive powers," Ban said. "It was on that basis that Foreign Minister Zarif pledged that Iran would play a positive and constructive role in Montreux." News of Iran’s participation in the Geneva conference comes on the heels of reports that Zarif has been involved in talks to bring a ceasefire to Syria - along with Iraq, Lebanon, and Russia. Zarif stated to a press conference held together with Senegal's Foreign Minister Saturday that the ceasefire would be an important step in achieving negotiations, and that the Syrian people should have a say in the direction of a new, unified government. On Friday, Syrian Foreign Minister Walid Muallem reportedly offered to negotiate a ceasefire with opposition forces in Aleppo. Aleppo has seen intensified fighting in recent weeks, with regime forces dropping "barrel bombs" on the war-battered city.